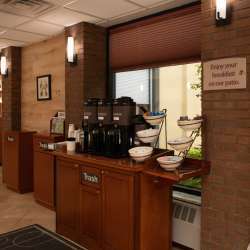 When it comes to lodging options in Traverse City, there’s a lot to be said for convenience, reliability, and a reputation for exemplary service. Comfort Inn & Suites by Radisson meets all these criteria…and then some. 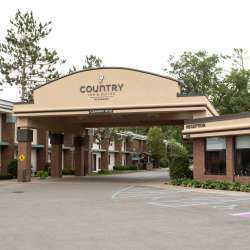 Originally the Days Inn—a popular, well-established hotel—the property transitioned to Country Inn & Suites in 2013. In 2017, it underwent a complete interior and exterior renovation, which added a fresh look and feel that’s noticeable from the minute you walk through the doors. 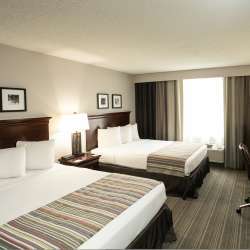 The property boasts HDTV cable for faster internet speeds (a big plus for the business traveler). Ever since opening five years ago, Country Inn & Suites continually scored high with leisure and business guests on TripAdvisor. The property also offers a generous rewards program—Radisson Rewards—which is accepted at over 1,100 hotels worldwide.